$10 for $20 Worth of Gifts from Overstock.com and Free shipping! Eversave has another hot deal! 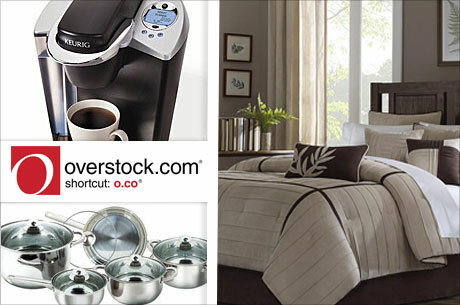 For $10, you will get $20 to spend on high-quality gifts from Overstock.com and FREE SHIPPING! (Free shipping is valid through 12/25/11). What’s so great aboutthis deal is that many of Overstock’s items are already up to 50% or more off regular prices. Don’t forget- if you are new to Eversave, you will get an additional $3 credit just for signing up! In addition, today only when you use code CYBER, you will get $3 off any save!